The Freixenet Holiday TV spot is one of the most highly anticipated commercials of the holiday season in Spain. For 2018, Lovebite had the opportunity of creating the campaign for TV, print and social media. Our coummunication strategy is based on the brand motto of “celebrating every moment big and small,” with the goal of making Freixenet cava relevant and aspirational for everyone, at any time of year. Our concept and claim line, “Celebra a tu Ritmo” (Celebrate at your own Rhythm), is a message that invites everyone of all ages and lifestyles to celebrate any moment, in your own way. Whether it be a traditional family gathering or a super glam fiesta, this is the is holiday “remix” that keeps the celebration going “Night and Day”! Freixenet, one of the world's leading sparkling wine makers (namely, cava) for over 100 years, extends its expertise and globally-renowned name to Prosecco. For this exciting new product launch, we created a global communication campaign : print, film, digital and PR. We took Freixenet's core mission of "helping people celebrate every moment big or small" and elevated the brand's image to create a sytlish campaign, as beautiful and aspirational as their distinctive, diamond-like Prosecco bottle. Our campaign message is POP THE PRO: Freixenet invites you to "pop" open this most "pop-ular" sparkling wine, made by the beloved and trusted brand that puts the "pro" in Prosecco. Celebrate in style with Freixenet Prosecco. Founded by Marcel Rochas in 1925, Rochas is a classic French brand with a rich heritage in fashion and fragrance. Our challenge was to help their fragrance brands stay true to the values of Parisian elegance and "joie de vivre," and modernize the image to be relevant to new, younger consumers. For the launch of the Les Cascades fragrances, we created two campaigns with fashion icon, Olivia Palermo, to lend a fresh face, style and grace. The name "Les Cascades", which translates to "the waterfalls", was interpreted by having Olivia in settings with iconic Parisian fountains, as a source of refreshment (Eclat d'Agrumes) and serenity (Songe d'Iris). Other campaigns we created for Rochas include Eau de Rochas and Eau Sensuelle. Biossance is a skincare brand that we helped to create from the start. This is the premiere consumer brand and product launch for its parent company, Amyris, a renewable products company in California. Biossance is centered around its hero ingredient, plant-derived Squalane. It is essentially a duplicate of a vital moisturizer that our bodies naturally produce, but which diminishes rapidly as early as in our 20s. Biossance returns what was once naturally yours. Our strategy was to base the brand on the insight that Biossance skincare offers both the trust of Nature and the performance of Science. This evolved into our brand claim line : Beauty is in our Biology.™ With this claim in mind, we developed the branding, communication, packaging and digital presence for the Biossance brand, with a fresh, clean, modern identity to express the beauty of biology. Laura Biagiotti is a classic Italian fashion brand with two long-standing fragrance pillars, named after the country's iconic cities : Roma and Venezia. Essenza di Roma is the line extension of the Roma fragrance, and for their brand campaign, our task was to revamp the image with modern elegance. Inspired by "la dolce vita," this is a cinematic, sensual story of a romantic encounter and "unforgettable moments" in the Eternal City. For Mía Wines by Freixenet, we created a new strategic platform, brand identity and communication campaign, based upon our concept of "The Sunny Side of Life." Inspired by it's hometown of Barcelona, Mia Wines are targeted towards a youthful, global audience (mostly female) with a colorful and care-free attitude. Every day is a sunshine celebration! 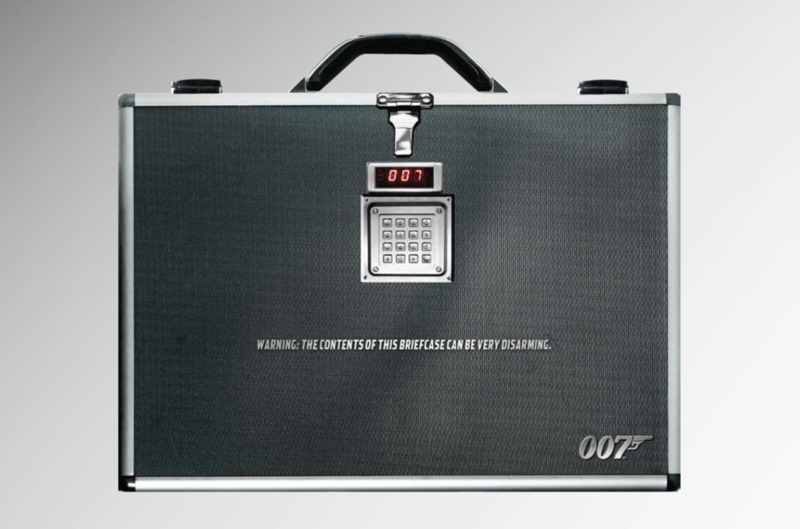 We won the opportunity to help launch the first official James Bond 007 fragrance for men, which was accompanied by a Gold Limited Edition, commemorating Bond's 50th anniversary. Our challenge for this campaign was to work with the restriction of not being able to show a man's face, or associate the character with any particular actor, but rather capture the universal essence of the Bond character. 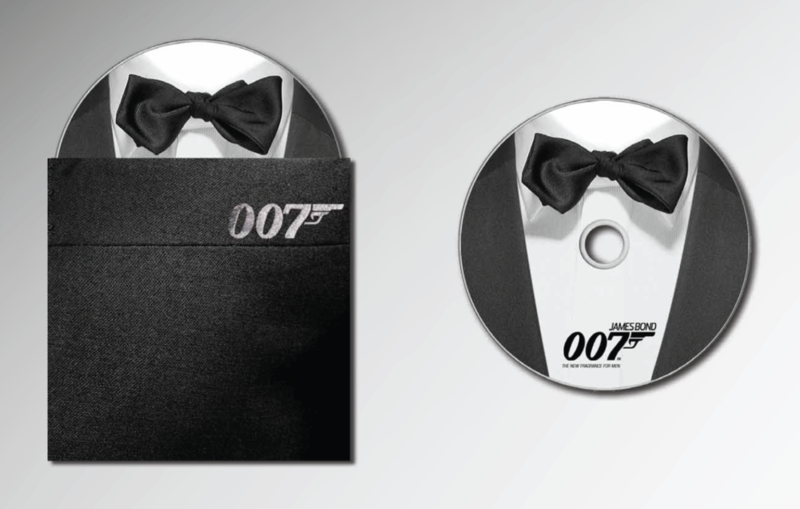 Thus, our solution was to focus on the most recognizable and ownable iconography of James Bond: the gun barrel, the tuxedo and his silhouette. As one of the world's most famous Supermodels, Naomi Campbell is the Queen of the Catwalk with a long line of fragrances in her name, each of which showcase a different aspect of her personality. In the multiple campaigns below that we created, Naomi is both a superstar and a diva... daring, mischievious and always glamorous. As with the Laura Biagiotti fragrance, Roma, Venezia is a classic staple in the brand's portfolio. For this campaign, the task was to reinterpet a classic Venezia tale for a new generation. Featuring the Italian actress, Margareth Madé, this story captures the magical and mysterious romance of Carnival in Venice. The essence of the Replay brand is rooted in denim. The Jeans Original! fragrance campaign we created was based on the fashion house's decision to go "back to black" in all advertising, as they had done successfully 10 years prior. Emerging from the dark background, the sculptural light illuminates the textures and contrasts of bare skin and denim, in a sensual, intimate moment. Ghost is a British fashion and fragrance brand targeted towards young women. The fragrance communication embodies the spirit of the Ghost woman: enchanting, ethereal and youthful, with a captivating gaze that invites you into her dreamlike world. This Replay fragrance is unique in that is has a functional benefit : it can be reactivated on your skin, simply by adding a drop of water. Our concept for this campaign was to visually communicate this effect by using watercolor painting as a beautiful metaphor. Through the flowing drop transformations, a colorful, bohemian love story emerges. We designed a fully integrated communication plan including packaging (that builds an image across the stack) and an online interactive program that allowed people to transform their own portrait into a beautiful watercolor image, using a paint pallette system we created. The campaign was regarded as a top benchmark for the Replay fragrances.